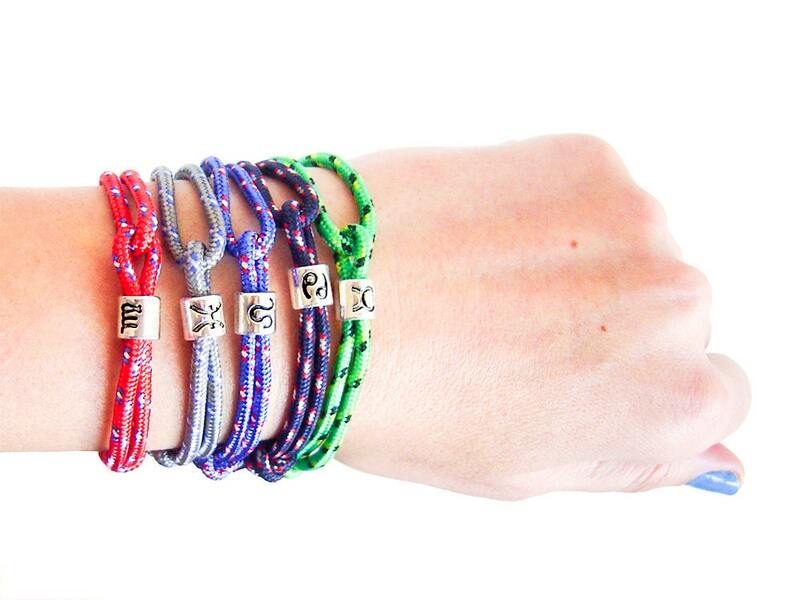 Looking for the perfect Scorpio jewelry gift? 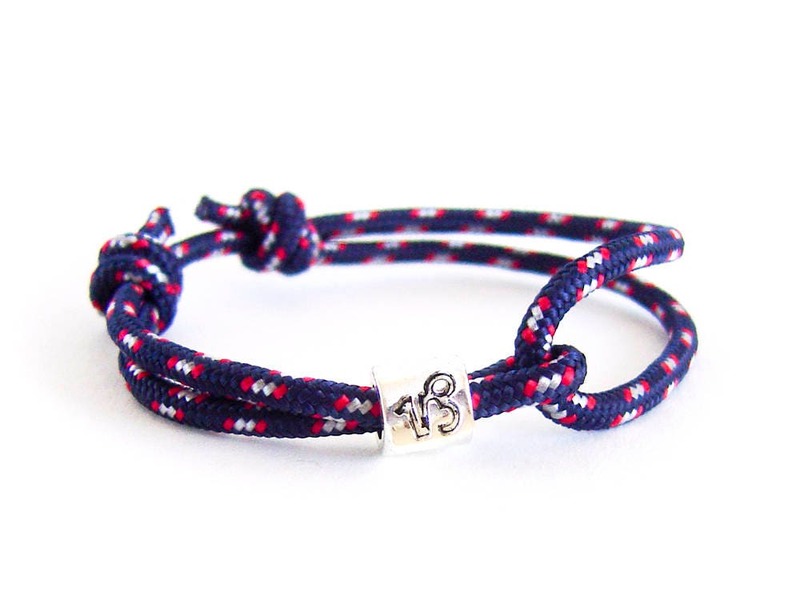 Then our Scorpio bracelet is the Scorpio constellation jewelry that you were looking for. 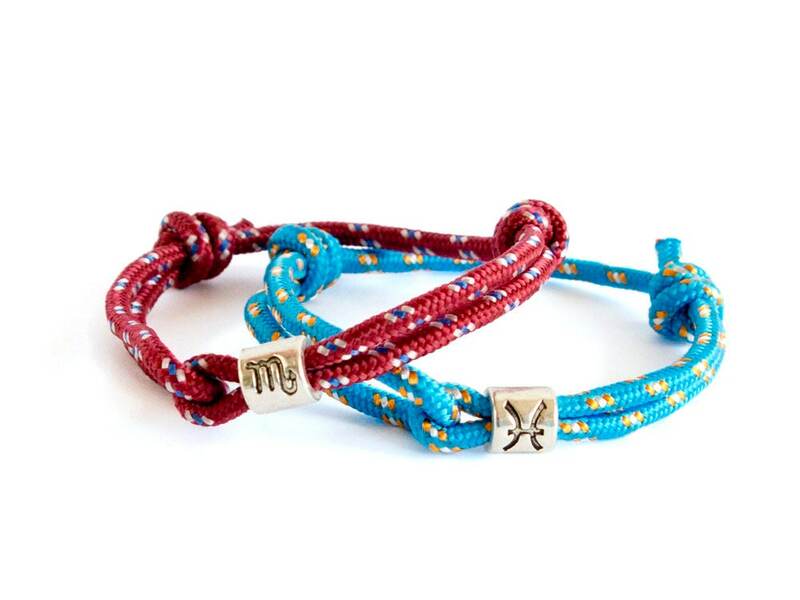 Unique in our zodiac gift guide, this mens bracelet will fit everyone! 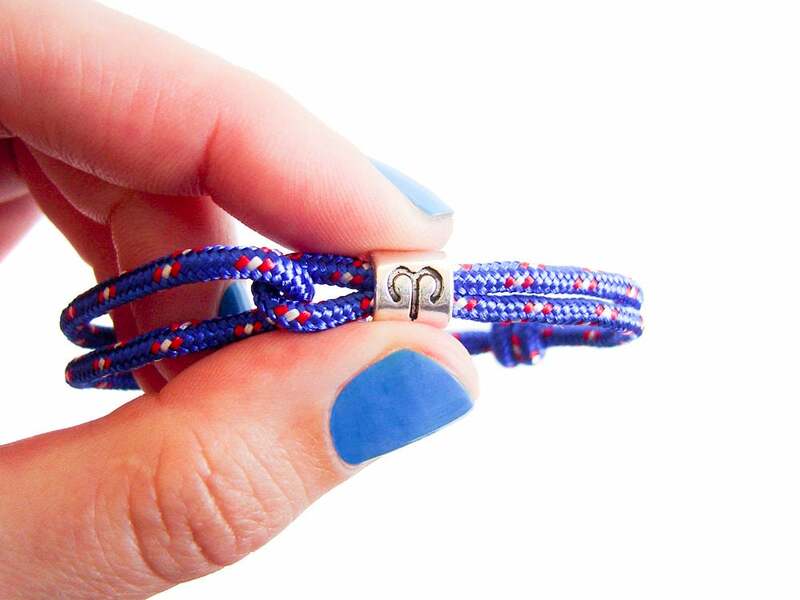 You can adjust its diameter when you slide the knots. So, every men or women will adjust it right to its wrist. Lightweight, stylish and modern, this Scorpio constellation jewelry charm bracelet is for everyday usage. You can wet is, sport with it, sleep with it and use it all day long! 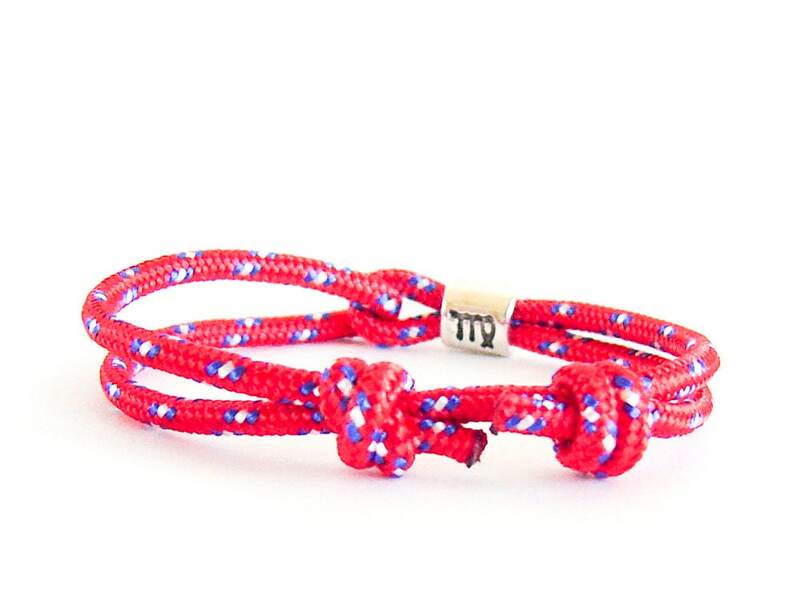 The bracelet is handmade of rope and a metal bead with sign on it. 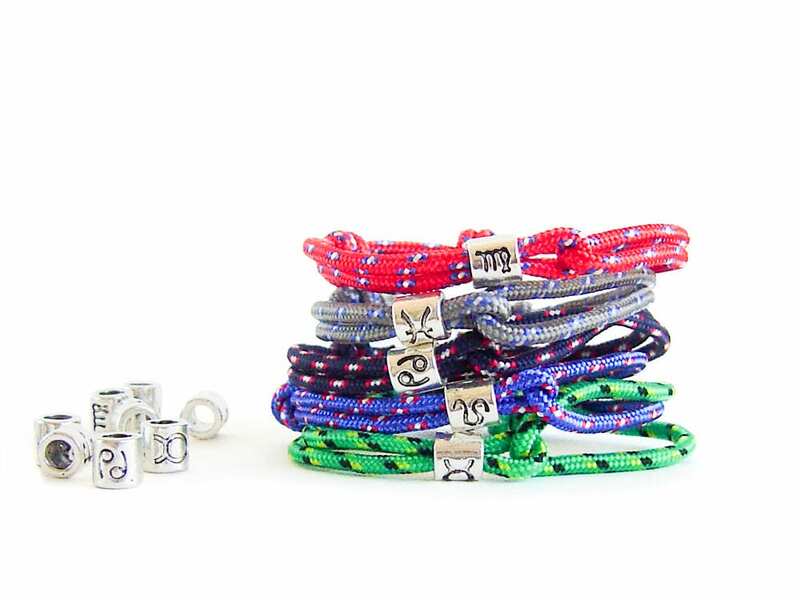 You can order this Scorpio jewelry not just as a Scorpio bracelet, but with all constellation beads. 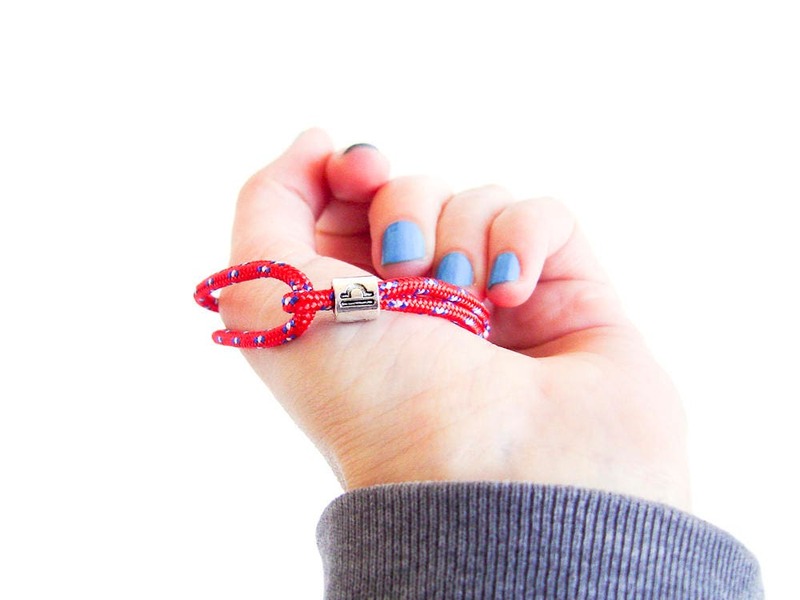 * The rope diameter is 3 mm (1/8"). 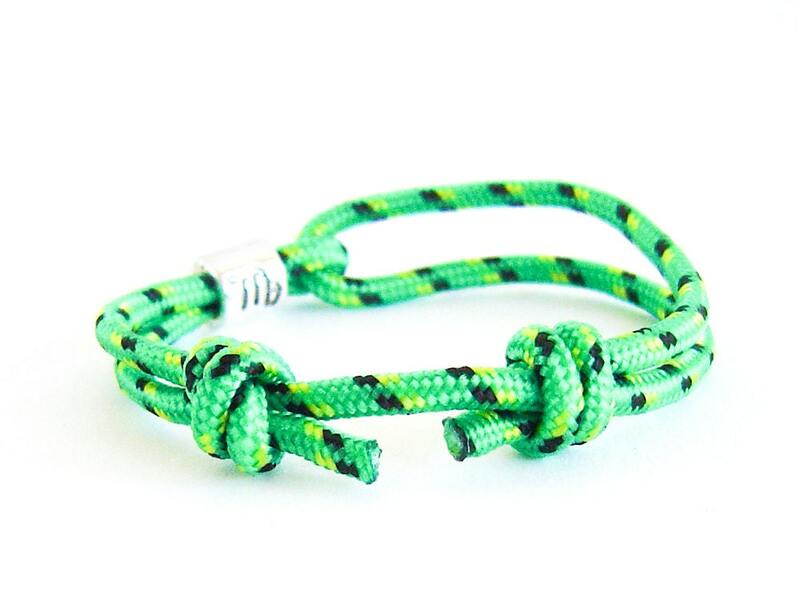 * The perimeter of the bracelet can be modified from 14 cm (5 1/2") to 27 cm (10 5/8"). One size fits all - men and women. 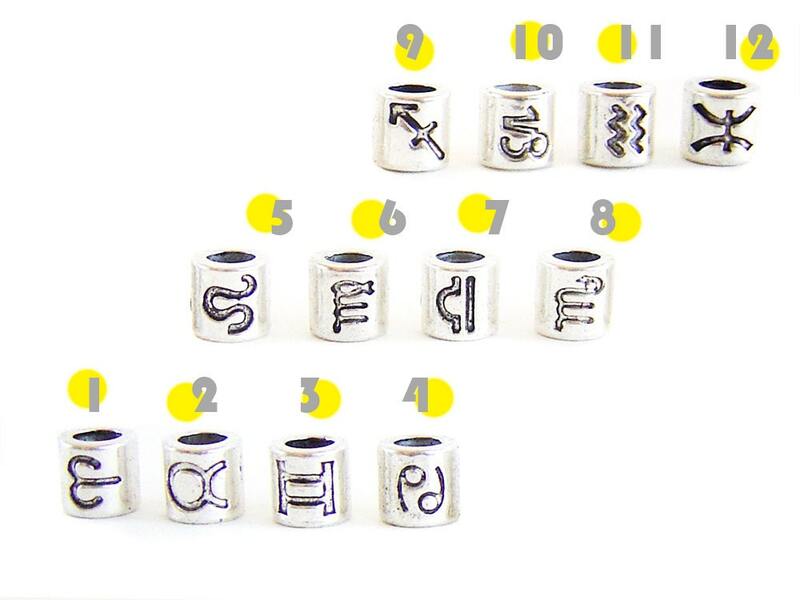 * The birthday star sign bead. 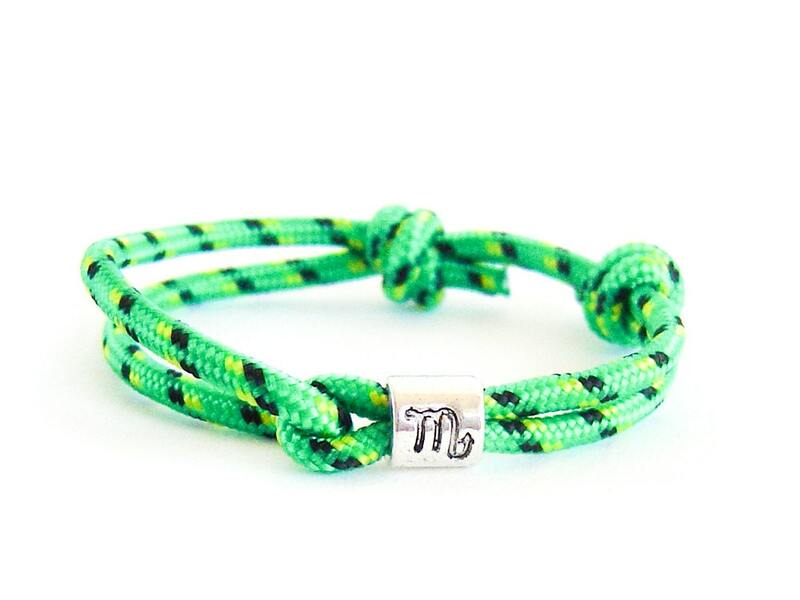 This Scorpio bracelet is a perfect gift for ones, born between October 23 and November 22.